I haven't been blessed with perfectly full, sculpted brows. And with the ever-changing trends, I honestly can't keep up with which brow is in season. All I can do is make the best of my brows and not over tweeze. Thankfully RevitaLash, well known for their lash enhancement products, has a fantastic brow gel that helps to naturally enhance and benefit your brows at the same time. The design of this product is great whether you are at home or on-the-go. Within the handle of the wand, you get a styling comb and brush. Before application, simply comb through brows to align brow hairs. Then, use short strokes to apply the brow gel, following the natural arch of your brows. The wand is small enough to target even thin areas, and the bristles are close enough so each hair is coated thoroughly with product. After application, you can use the brush to smooth and blend. If you have unruly brows, or thin brows where hair placement is paramount, you will absolutely love the hold of this gel. At the end of the day, not one hair is out of place. I don't think I've ever used a brow gel with such phenominal hold before. It doesn't take much product to get the job done either! 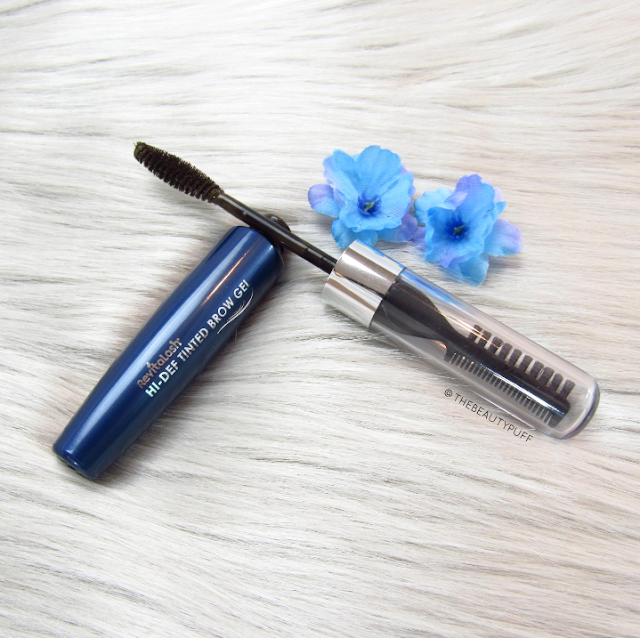 My brows may not be perfect, but this gel has definitely helped me get them looking their best in one easy step. The RevitaLash Hi-Def Tinted Brow Gel comes in two shades, soft brown and dark brown. Shop below for the entire RevitaLash collection..